In the name of convenience, home automation and security have increasingly become mobile. Now, home owners have the luxury of remotely monitoring and controlling everything that goes on in their homes, as long as they're using a web-enabled device. Whether it is referred to as smart home, connected home or "Internet of things" (IoT), home automation will get even bigger, with over 50 billion connected devices expected to be used by the year 2020. 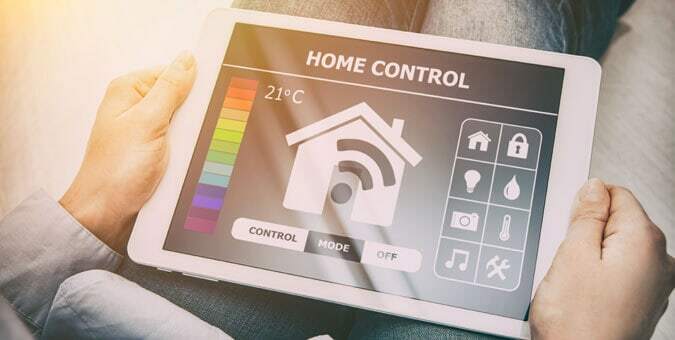 A home automation system is incorporated with a smart or connected home, providing homeowners with security, energy efficiency and convenience. The smart home has appliances, devices and video systems that have the capability of communicating with each other and can be controlled remotely, whether locally in the home or from any location in the world, usually by a web-enabled smart phone or tablet. Timely Notifications: Whether at home or away, instant notifications are sent to the homeowner's smart phone or tablet. These can range from alerts about a power outage in the home to a notification about an unwanted guest. Remote Access: Homeowners can check in on their homes remotely via in-home video systems which allow them to view live video on a smart phone, tablet or desktop. Remote Operation: Temperature, lights, locks and appliances can be controlled remotely, and the security system can be armed and disarmed from anywhere in the world. Increased Energy Efficiency: Controlling appliances and temperature remotely can make for better energy management. Technology-based devices run the risk of being compromised. That's why it is so important to put certain safeguards in place to protect the digital doorways from cyber-attacks. Setting a strong password is the simplest way to protect sensitive data. Here are some techniques that will strengthen home automation security. Use more than four characters - It is harder for cyber-attacks to penetrate password protected information if the password is eight characters long (or longer). Use special letters or characters – Using upper and lower case letters with numbers and symbols will add a higher level of security. Use multiple passwords – For different websites, use more than one password to prevent easy access. Avoid predictable passwords – Avoid using predictable passcodes such as birthdays, anniversaries or any kind of public information. Outdated software makes it easy for attackers to infiltrate cyber security. Hackers can easily identify weak spots and take advantage of the opportunity, gaining access to important systems. Homeowners need to ensure that handheld devices are fully and regularly updated to ensure proper security. When downloading or installing apps on devices, especially smartphones, the user is sometimes prompted to allow access to various functions of the device. Giving access could be opening up a gateway and give away information such as contact lists, e-mails, locations, and photos. Restricting access to apps will keep important information protected. Homeowners need to take great care when clicking on links. Unfamiliar links can have embedded malware that can give an attacker access to pertinent data. As technology advances and consumers' interests increase, innovations in home automation will only get better. The integration of more advanced home automation software and handheld devices is constantly being developed to go hand-in-hand with growing digital demand. Chetu was incorporated in 2000 and is headquartered in Florida. We deliver World-Class Software Development Solutions serving entrepreneurs to Fortune 500 clients. Our services include process and systems design, package implementation, custom development, business intelligence and reporting, systems integration, as well as testing, maintenance and support. 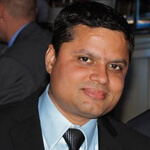 Chetu’s expertise spans across the entire IT spectrum. Why You Should Go For Your Own Payment Gateway? HTML5 in eLearning : How to Overcome the Limitations of Flash. "2017 Wasn't VR's Year, but Spielberg Film Reignites Gaming Movement for 2018"
"Chetu is Recognized in the Orlando Business Journal as One of the Top Ranked Healthiest Employers in Orlando in 2017"
"Chetu: Custom Software Development for Your Business"
"Global Distribution System Integration and Mobile Apps: How Resort and Timeshare Entities are Utilizing New Technology Trends to Connect with Consumers"
"Go Green with Custom Water Management Applications"